Montgomery, AL—Twenty-three high school students from as far away as Virginia enjoyed the 2018 Huntingdon College Health Sciences Academy, held at Huntingdon College June 27–29. The three-day and two-night program included tours of health care facilities, health science research with Huntingdon faculty, and presentations by health care professionals, among other activities. Students who are rising seniors in high school and who have achieved cumulative grade point averages of at least 3.4 and are considering careers in the health sciences are invited to participate in the annual program. Most of the cost of the program, including overnight stays in Huntingdon residence halls, meals, and materials, is paid by the Health Sciences Academy. There is a $25 enrollment fee for each student. 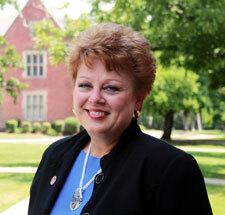 The program is led by Dr. Maureen Kendrick Murphy, Huntingdon College professor of chemistry and a 1978 graduate of Huntingdon College, as well as Huntingdon faculty from the Department of Chemistry and the Department of Sport Science and Physical Education. Assisting Huntingdon faculty with teaching and running the academy this year was Sarah Mowbray Fulcher, Huntingdon College Class of 2001, science department chair, teacher, and swim coach for Prince Edward County High School in Farmville, Virginia. Alumni mentors for the program, who keep in touch with the participants and advise their journeys toward professional school, are Dr. John Thornhill, Huntingdon Class of 2006, a chiropractor from Kennesaw, Ga.; Ms. Hannah Howard, Class of 2017, a first year medical student at the University of Alabama-Birmingham in the Rural Medicine Program; Dr. Quintarious Perdue, Class of 2013, a pharmacist in Montgomery; Ms. Angelia Cale, Class of 1979, medical technologist supervisor for USA Medical Center in Mobile, Ala.; Mr. Brandon Veach, Class of 2015, a student in the University of Alabama-Birmingham School of Dentistry; Mr. David Ellison, Class of 2016, a student in the Doctor of Pharmacy program at Auburn University; and Dr. Macie Malinowski, a veterinarian at Cobbs Ford Pet Health Clinic in Prattville, Ala. Ms. Fulcher will also serve as a mentor for the program. “The opportunity to gain hands-on experience and to get a closer look at a career field is tremendously important,” said Huntingdon College President J. Cameron West. “HHSA is Huntingdon’s third summer program introduced to spark interest and enthusiasm early in the minds of students who will become college freshmen the following year. At Huntingdon, we believe that early and increased exposure to possibilities and practices is vital in the college-to-career matrix.” Also held at Huntingdon this summer were the Huntingdon Leadership Academy, for high school students who are discerning their calling to a career in ministry; and the Huntingdon Economic and Community Development Scholars program, introducing high school leaders to the possibilities of careers and leadership in economic and community development. Huntingdon College is an institution with a rich liberal arts tradition that is grounded in the Judeo-Christian heritage of the United Methodist Church. The College embraces the development and growth of its students in faith, wisdom, and service, providing a solid foundation that will enable them to respond to the needs of today’s global and complex world.